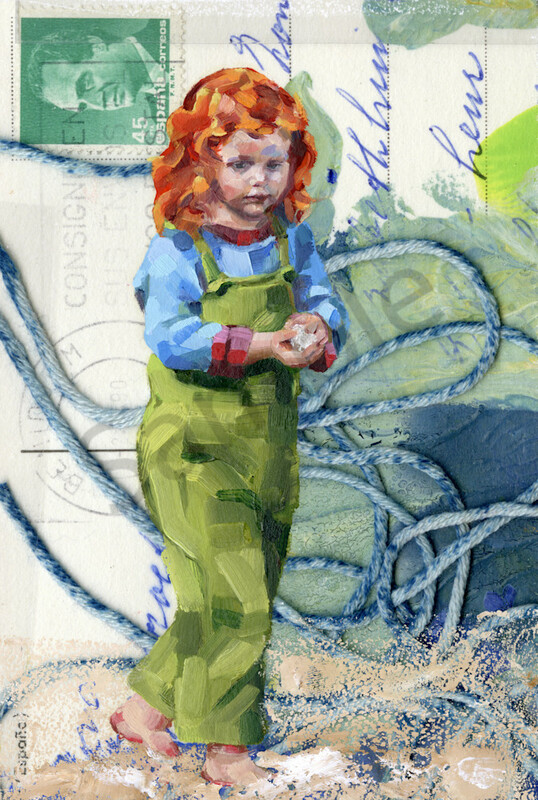 Artwork: Little girl with red hair painted against a abstract collage background. 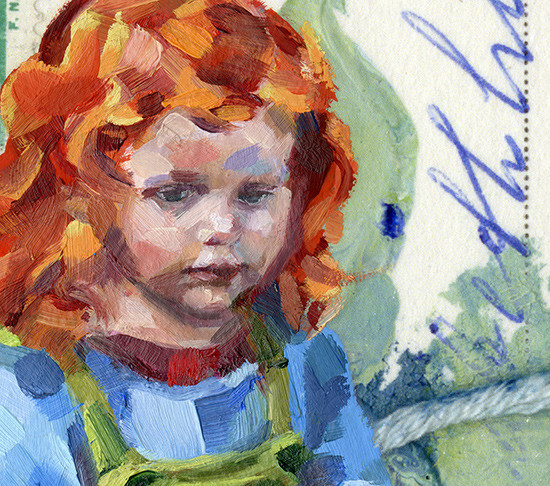 This oil painting is a combination of a digital collage and a with oil paint painted girl. 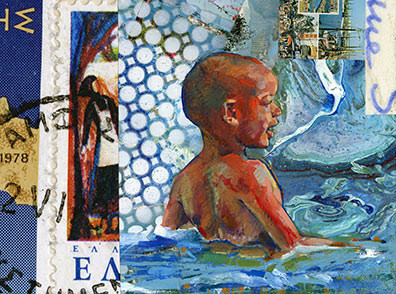 I create collages in my studio but also on my scanner. The background of this painting was created with my scanner. I don't use a computer to create, everything you see is material that I collect in my studio.